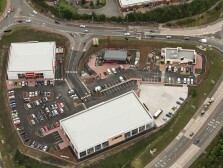 Delta Planning is a client focused independent town planning and development consultancy. We pride ourselves on our professional integrity, great client service and commercial acumen. We aim to create strong, long term relationships with our clients and their project teams. 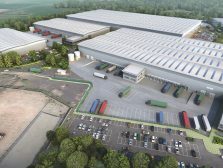 Established in 2011 by David Green, Delta Planning principally works across three core sectors – industrial/logistics, residential and education. 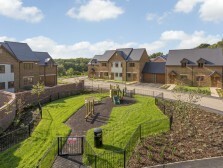 Our clients include: Prologis, AC Lloyd Homes, The University of Wolverhampton, Birmingham City University, Dudley College, Panattoni, Gallagher Estates, The University of Buckingham, Hartford Homes, St Modwen Properties, SEGRO Roxhill, Trebor Developments, Hortons’ Estate, Maximus, Minns Network Developments, Simons Developments, Deeley Homes, Nuffield Health, Bromsgrove School and Solihull College. 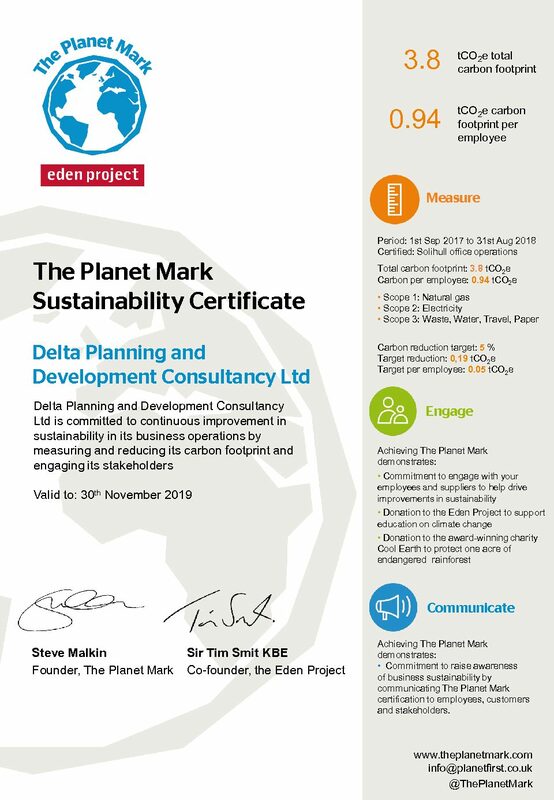 Delta Planning has received certification under the Planet Mark scheme which recognises our commitment to continuous improvement in sustainability and to measuring and reducing our carbon footprint.